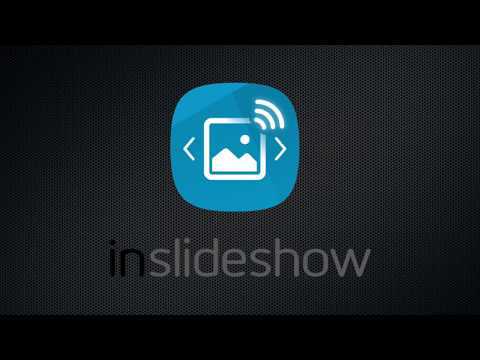 inslideshow enables you to easily share pictures instantaneously. inslideshow simplifies your life, by implementing an universal "AirDrop" between all smart-phones brands and PC ! Inslideshow does not use any public cloud storage, it transfers the pictures directly between the involved devices. You are looking for an application able to share in total discretion pictures of your family, or for whatever reason even professionally, then the application can solve the issue in real time (live sharing). Do not wait anymore ! inslideshow has been made for you ! To share the pictures, connect the devices together or simply scan the QR Code, or copy in an Internet browser the address given by the application in the control panel. The slide show mode serves either for uploading, as well as for displaying a set of pictures instantaneously. The preview mode displays only the pictures you would like to share. inslideshow was added by pschweitz in Jan 2018 and the latest update was made in Feb 2018. The list of alternatives was updated Dec 2018 There is a history of all activites on inslideshow in our Activity Log. It's possible to update the information on inslideshow or report it as discontinued, duplicated or spam. A time-saving iPhone transfer tool and iPhone manager to transfer & backup photos, music, videos, apps, iBooks between iPhone, iPad, iPod, Windows PC & Mac. Search, view, edit, manage, organize, transfer, download, upload, backup online photos and albums in one place. .
ScanTransfer is a free Windows desktop software program which enables you to transfer photos and videos from your smart phone to your computer or laptop. Photo Transfer App allows you to quickly copy photos and videos between your iPhone, iPad, Mac or PC using your local wifi network. Alternatives to inslideshow for iPhone, Windows, Android, iPad, Android Tablet and more. Filter by license to discover only free or Open Source alternatives. This list contains a total of 8 apps similar to inslideshow. No reviews yet for inslideshow, want to be first? Maybe you want to be the first to submit a comment about inslideshow? Just click the button up to your right!